The New York Times best-selling author of the Wake trilogy makes her middle-grade dystopian fantasy debut! When Alex finds out he is Unwanted, he expects to die. That is the way of the people of Quill: Each year all the 13-year-olds are labeled as Wanted, Necessary, or Unwanted. Wanteds get more schooling and train to join the army. Necessaries keep the farms running. Unwanteds are set for elimination. 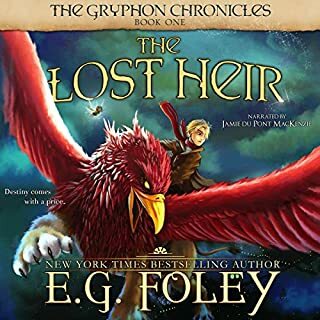 It’s hard for Alex to leave behind his twin, Aaron, a Wanted, but he makes peace with his fate - until he discovers that instead of a “death farm”, what awaits him is a magical place called Artime. There, Alex and his fellow Unwanteds are encouraged to cultivate their creative abilities and use them magically. Everything Alex has ever known changes before his eyes, and it’s a wondrous transformation. But it’s a rare, unique occurrence for twins to be divided between Wanted and Unwanted, and as Alex and Aaron’s bond stretches across their separation, a threat arises for the survival of Artime that will pit brother against brother in an ultimate, magical battle. The characters were well thought out, and the dialogue engaging. 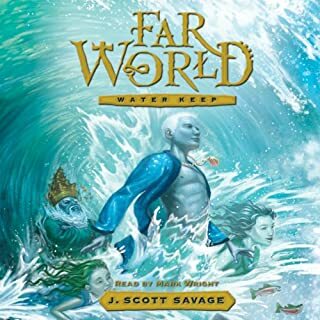 The main theme of the story certainly was serious, but the book didn't have any graphic content that I wouldn't allow a 4th grader or up to hear. 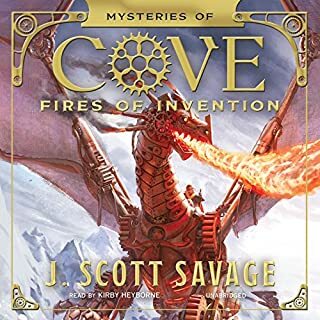 I was pleasantly surprised because I don't usually enjoy futuristic, fantastical stories. This book is full of action and things to think about. It can be enjoyed by adults as well as kids. It has several twists and turns that neither young or old will see coming. Furthermore most people are not totally evil or totally good. Grey characters make for a more true to life story, even though it is a fantasy. Some bad people can change to good. There are some great lessons for all to learn. The lessons are shown, not told. This book is preach free. Narrator is very good and I will continue the series. The story opens as a disutopia similar to that of the Giver and a bit darker then Hunger Games, luckily the author quickly moves the reader pass this and on to a much brighter world. In many ways this is a brighter and happier story then the title implies. The childern are well treated and enter into a much better world. The only thing missing is book 2! This was a great book! I didn't want it to end! The performance was great, the story was colorful and creative and evoked a lot of thought and emotion. Heavy subject handled beautifully. I always feel bad saying less than glowing things about a book. But, as someone who appreciates an honest review, here it goes. Simon Jones gave this book life with his narration and I finished it because of his reading. The story itself is not terrible, but it is a mashup of a couple of predictable tropes (magical Harry Potter wish fulfillment and dystopian society culling the less-perfect members of society) and they don't seem to go together very well. The main adult character is constantly explaining things so there is no mystery or suspense. The climax is not climactic. 13 year old children are coached in the art of Magical Defense and told that they may decide whether to use fatal or non fatal spells but murder is discussed, and committed, so casually that they may as well have been getting the mail or hanging up the washing for the impact is has on the story. However, I feel that the author did intend a big impact but it was written in too vague and dismissive a way. A bright spot is the characters themselves. Each was well written and with appropriate dialogue. The bad ones still have depth and a drive to their evil-ness and the good ones are still human. 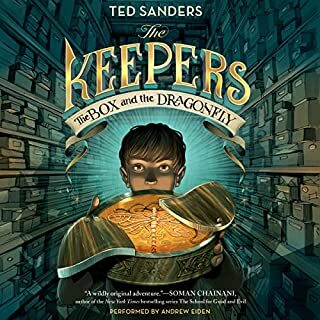 I will probably listen to the next book (if Simon Jones is the narrator) to see if these things change or improve, but I don't know that I'd recommend it to a friend. As an adult, I still enjoy many of the young adult books and decided to give this one a try. It turned out to be a little young and simplistic for my taste, but I'm sure children will love it. McMann does a good job at engaging the reader with likeable characters and an appealing story. The idea of turning art into magic was interesting and innovating, if a little simplistic at times, but I'm sure that wouldn't faze the target audience. All in all she provided some pretty good twists in her story and it was well narrated by Simon Jones. If you're looking for something light or searching for your kids, this is a good one. 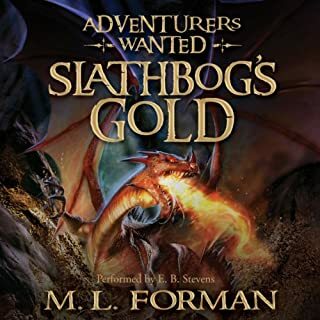 If this book is supposed to be Harry Potter meets The Hunger Games as some commentators suggest, then it never quite succeeds at being either. Lisa McMann?? ?s the Unwanteds is a bazaar blend of fantasy and dystopian writing. The book opens with the Purge, a separation of thirteen-year-olds into wanteds, necessaries, and unwanteds. And yes, it is entirely reminiscent of the reaping that begins The Hunger Games. As Alex leaves behind his twin Aaron, who has been designated a Wanted, he boards an ancient bus with the other Unwanteds to be transported to the Death Camp and thrown into a lake of burning oil. But instead of being cast into the lake, the group of Unwanteds watch a large flying tortoise descend from the sky, and their lives change. The land of Artime, the magical world, exists parallel to Quill, the dystopian world, and is protected and maintained by Marcus Today, a Dumbledore-like character who has his own office with a magical window on the land of Quill. Alex and his friends spend their time learning magic, which for each is an extension of their natural, creative abilities. I would never call Alex a new harry Potter, and there?? ?s little besides the opening sequence to suggest this book is anything like The Hunger Games. With the suppression of emotion in Quill, the book is if anything more like Lois Lowry?? ?s The Giver, another dystopian and rather problematic novel for young adults. In The Unwanteds, kids learn defensive magic?? ?those magical talents standing for creativity?? ?while the emotionally suppressed of Quill invade the magical land of artime. Just like The Giver, The Unwanteds moves from dystopia to allegory: the freedom of creativity set against the negativity and oppression of emotional suppression. The upshot???Ms. McMann, don?? ?t mix your genres, and don?? ?t try creating another Dumbledore, who, by the way, is still very much alive in the hearts of harry Potter fans. Three stars for this one. However, five stars for the audio version of this rather odd and mediocre book. Simon Jones, the fabulous reader of the Bartimaeus series, makes this book worth listening to. If you could sum up The Unwanteds in three words, what would they be? 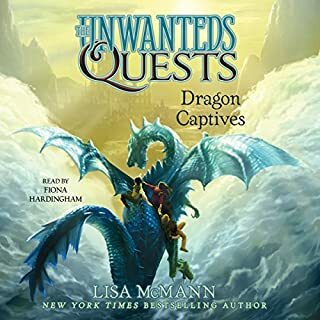 What was one of the most memorable moments of The Unwanteds? The introduction of Artime and of Mr. Today. My favorite scene was when the unwanteds entered Artime for the first time. A great ride from start to finish. The story is all about the creation of magic through our creativity. Something as ordinary as a paintbrush can be used to paint oneself invisible, or encase someone in a paint shell. The power of Artime comes from the imagination of one man, Marcus Today, and he shares this power with the children he brings to his wonderful land. 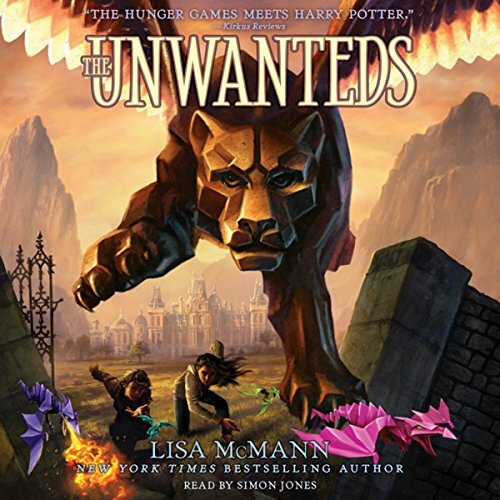 Would you consider the audio edition of The Unwanteds to be better than the print version? kept the kids rivited in the car, didn't hear a peep on a long motorway drive. in fact, they were desperate to get moving again to hear more! I'd call this a "page turner"
What other book might you compare The Unwanteds to, and why? it would appeal to the Harry potter type audience, eg boy discoveres a magic world he never new existed - and turns out to be quite special! Which character – as performed by Simon Jones – was your favourite? the old man is definitely my favorite!